Since 1907, W.F. Hann & Sons has been recognized as the leading plumbing resource for residents throughout the Greater Cleveland Metropolitan Area and Northeastern Ohio. 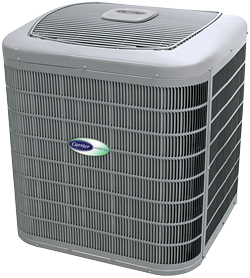 We are known for offering superior AC repair, excellent AC installation and outstanding AC service. With our incredible team of experts, we will make certain that your home or office is protected from any air conditioning failures. We are recognized for preventing AC service problems and working to ensure that your AC installation unit performs as it should. With W.F. Hann & Sons, you can expect to have lower operational and ownership costs in the future. When our Chardon neighbors need the finest AC service in the region, the only name they need to know is W.F. Hann & Sons. Chardon, Ohio is a city in and the county seat of Geauga County with slightly more than 5,000 residents. W.F. Hann & Sons is located at 26401 Miles Road, Warrensville Heights, slightly more than 23 miles southwest of Chardon. Chardon clients know that our NATE (North American Technician Excellence) technicians are who they should contact when they need a brand-new AC installation, AC repair work or any other AC service. NATE experts always insist on collaborating with Chardon customers for all their AC service projects. Chardon residents realize they can count on W.F. Hann & Sons to save them both energy and costs. Delivering a healthier and cleaner environment is our predominant focus. Not only will W.F. Hann & Sons strive to meet their Chardon customers’ expectations, but they will frequently surpass them. With its advanced technology, trustworthy engineering and complete product reliability, W.F. Hann & Sons is recognized for evaluating their clients’ needs and developing the best AC installation systems for them. We will make sure our customers have exceptional AC comfort, efficiency and the benefits they deserve. W.F. Hann & Sons’ AC service employees are factory-trained, fully insured and licensed in AC installation and AC repair. Our clients can expect to receive nothing less than the same courtesy and respect our team of professions would provide their own families. If you are considering enhancing the comfort level in your home and your business, W.F. Hann & Sons will be happy to make sure you receive exactly what you are looking for. To schedule an appointment for AC repair, AC installation or AC service, call W.F. Hann & Sons, today, at: (216) 831-4200. Remember, we are available 24/7 for all unexpected emergencies.